Some of you have gotten along forever without a board of directors, or used your spouse as the “other” board member from the start. But there are some very good reasons to build a great board composed of some outside members. And good board members can add real value to you and the company. In other posts, we cover legal responsibilities of a board, how to pay board members, the limits of their responsibilities, dealing with under-performing or “noisy” board members, and more. Today, we cover an ideal board’s collective mindset. Generative thinking: Do you have board members who often ask “why?” or “What if…” Or “What are the alternatives?” Or the important one: “Is this idea on mission?” These are generative thinking questions. Hmm. Generative. Now there’s a word perhaps you have never heard, and should be added to your corporate toolset and vocabulary. Strategic thinking: Board members who ask: “What is the competitive landscape?” or “How about the public relations impact?” or “Does this idea move us toward our goals?” or “Is this just too little value for too much money?” – are adding to the dialogue in valuable ways and should be encouraged, not just tolerated. Most of us in management have too little time for strategic thinking. “Ah ha” moments are too few when there are lists of urgent things to do that never seem to be completed. 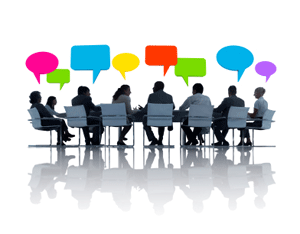 Good board meetings allow time, and the chairman encourages members to ask strategic questions to help focus the board on its best use of that time. Fiduciary thinking: Most board members, especially those composed of members from larger businesses, are good at the fiduciary questions. “Is this legal?” “Is it feasible (financially, with our resources, with our capabilities? )” “Can we afford to do this?” “Is this idea sustainable?” These are typical fiduciary questions. Importantly, these also help a board to cover the legal “duty of care” for the health of the company. But that, too, is the subject for another time. Investing in the creation of a governance board is not enough. We must encourage a constant use of generative, strategic and fiduciary thinking from board members, encouraging this most appropriate mindset. And we must present our ideas in board meetings or documents in such a clear manner that such questions will be asked, and discussion allowed. 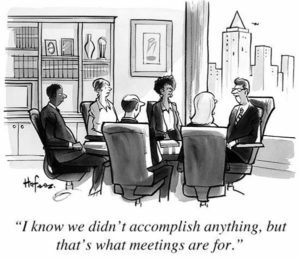 Most importantly, we must leave enough time in a board meeting for these discussions. Which means reducing the time spent in routine reporting, delivering materials well in advance when possible, and encouraging participation from all board members. This is not easy. But the potential for great results leads to the board giving “macro governance” and not delving into the micro details that management deals with on a daily basis. A better company is the goal. And what CEO or board wouldn’t want that?